The Saginaw Valley Orchid Society is a non-profit organization who’s purpose is to promote, carry on and aid in every possible way the development, improvement, and preservation of orchids of all kinds. We do this by means of exhibitions or lectures to assist those engaged in the growing of orchids. 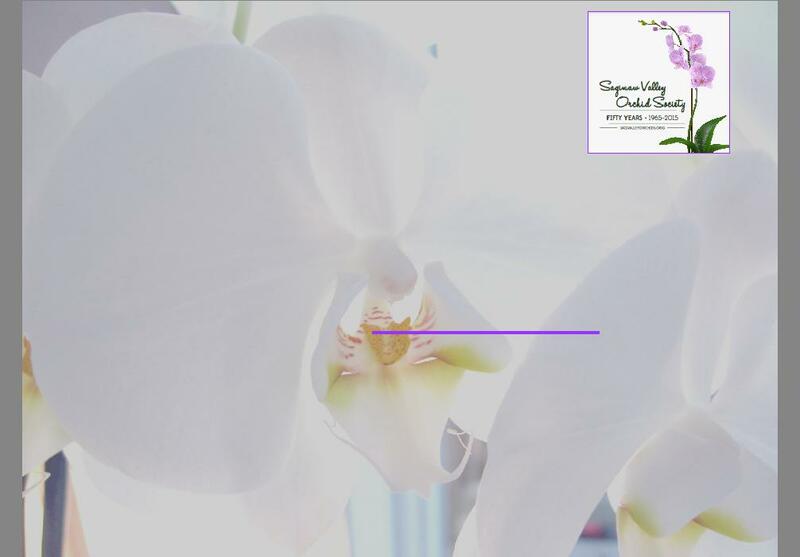 We want to share our appreciation of orchids of any kind and in any manner with the rest of the community. We generally meet on the 2nd Saturday evening on the odd months except July (January, March, May, September, & November) at the Thomas Township Public Safety Building, 8215 Shields Dr, Saginaw MI. 48609 Dates may change depending on speaker availability. We have a study group that meets on the even months of the year. Dates will be determined. Contact an officer for more information. The Public Safety Building is on the road behind the Meijer on Gratiot Road. A question and answer session starts at 6:30 pm with the membership meeting at 7 pm. The Saginaw Valley Orchid Society is affiliated with the American Orchid Society and the Mid America Orchid Congress. Study Groups are on the even months.